The 12oz. Stainless Steel Polar Camel Beverage Holders feature double-wall, vacuum insulation. They are heat and cold resistant and hold cans and bottles. Simply screw off the rubber top and place the beverage inside. Product can be laser engraved leaving a black oxidation, or sand-etched (at an additional upcharge) leaving a tone-on-tone silver imprint. Holds a 12oz. can or bottle. Individually packaged. The 12oz. 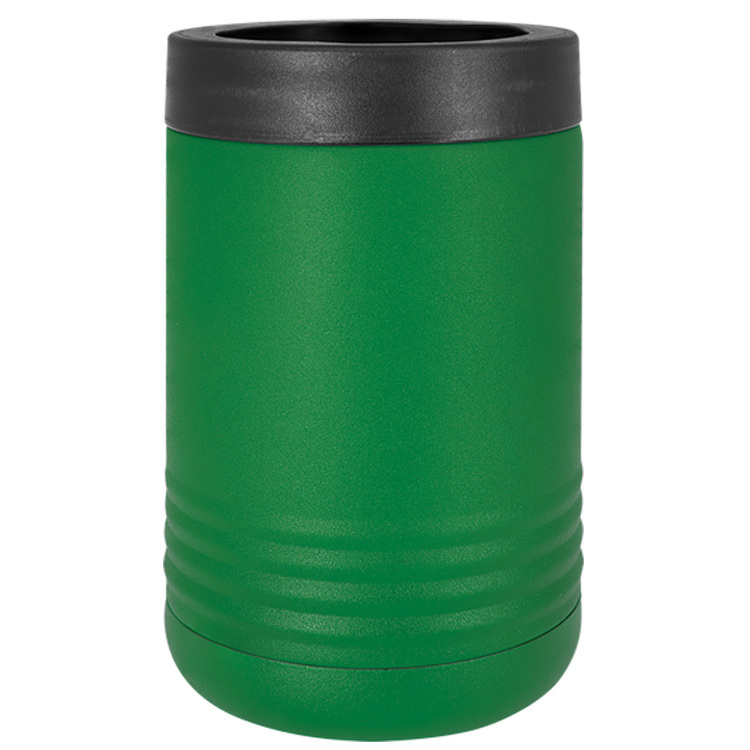 Green Stainless Steel Polar Camel Beverage Holders feature double-wall, vacuum insulation. They are heat and cold resistant and hold cans and bottles. Simply screw off the rubber top and place the beverage inside. Product can be laser engraved leaving a silver imprint. Holds a 12oz. can or bottle. Individually packaged. The 12oz. Light Purple Stainless Steel Polar Camel Beverage Holders feature double-wall, vacuum insulation. 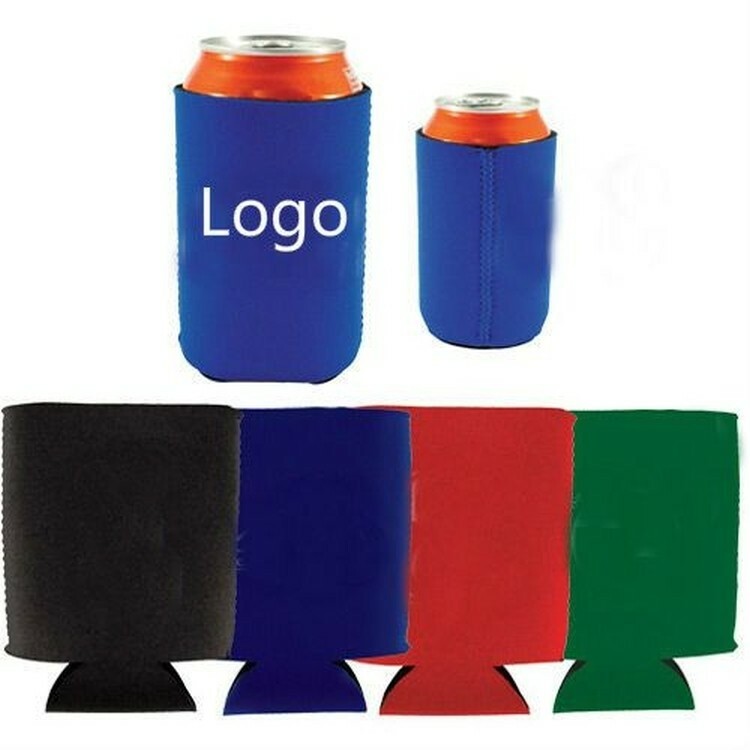 They are heat and cold resistant and hold cans and bottles. Simply screw off the rubber top and place the beverage inside. 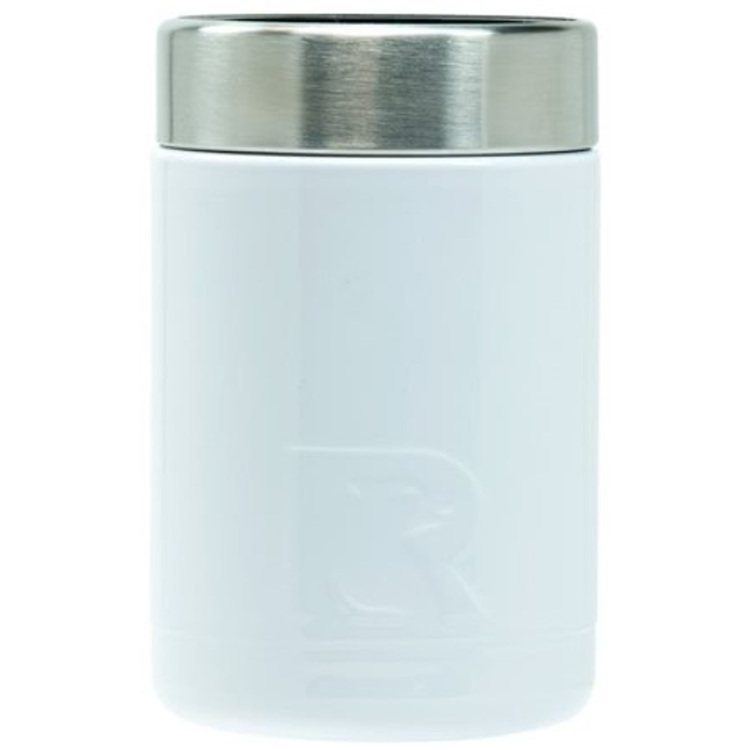 Product can be laser engraved leaving a silver imprint. Holds a 12oz. can or bottle. Individually packaged. The 12oz. 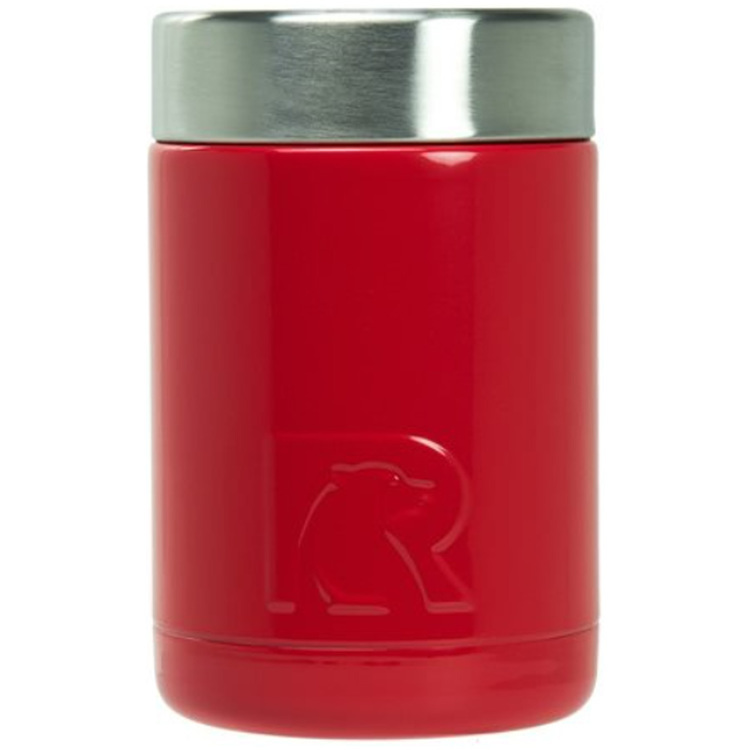 Red Stainless Steel Polar Camel Beverage Holders feature double-wall, vacuum insulation. 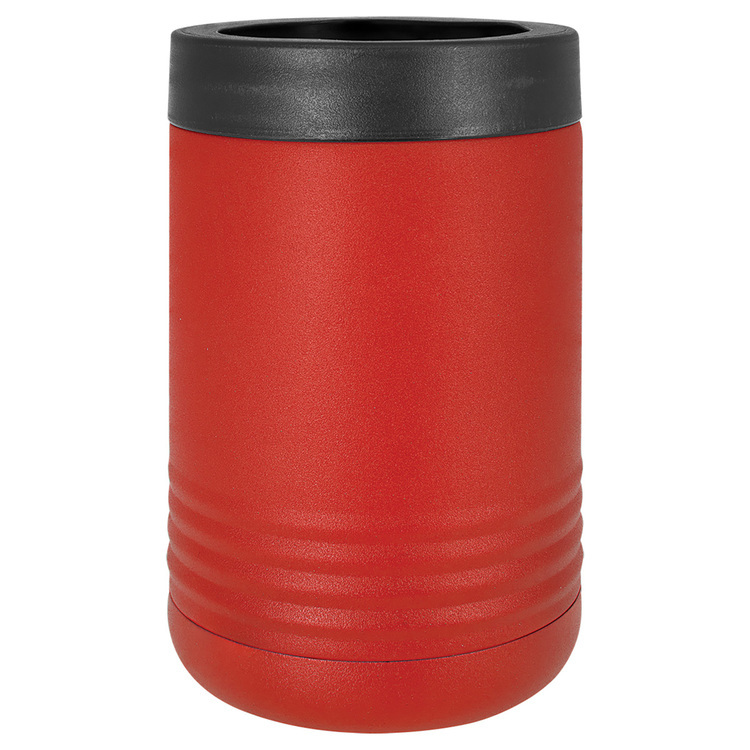 They are heat and cold resistant and hold cans and bottles. Simply screw off the rubber top and place the beverage inside. Product can be laser engraved leaving a silver imprint. Holds a 12oz. can or bottle. Individually packaged. The 12oz. Blue Stainless Steel Polar Camel Beverage Holders feature double-wall, vacuum insulation. They are heat and cold resistant and hold cans and bottles. Simply screw off the rubber top and place the beverage inside. Product can be laser engraved leaving a silver imprint. Holds a 12oz. can or bottle. Individually packaged. The 12oz. 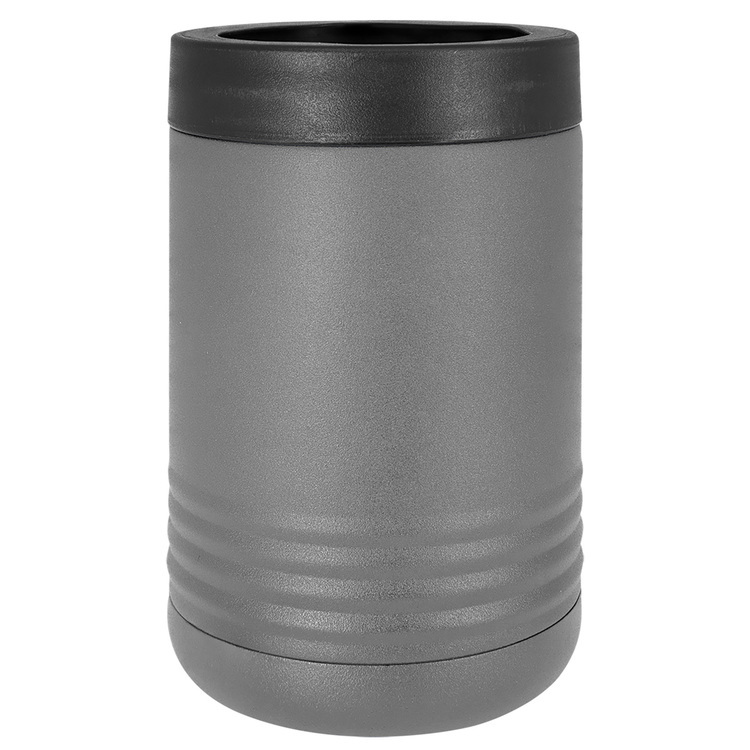 Black Stainless Steel Polar Camel Beverage Holders feature double-wall, vacuum insulation. They are heat and cold resistant and hold cans and bottles. Simply screw off the rubber top and place the beverage inside. Product can be laser engraved leaving a silver imprint. Holds a 12oz. can or bottle. Individually packaged. The 12oz. 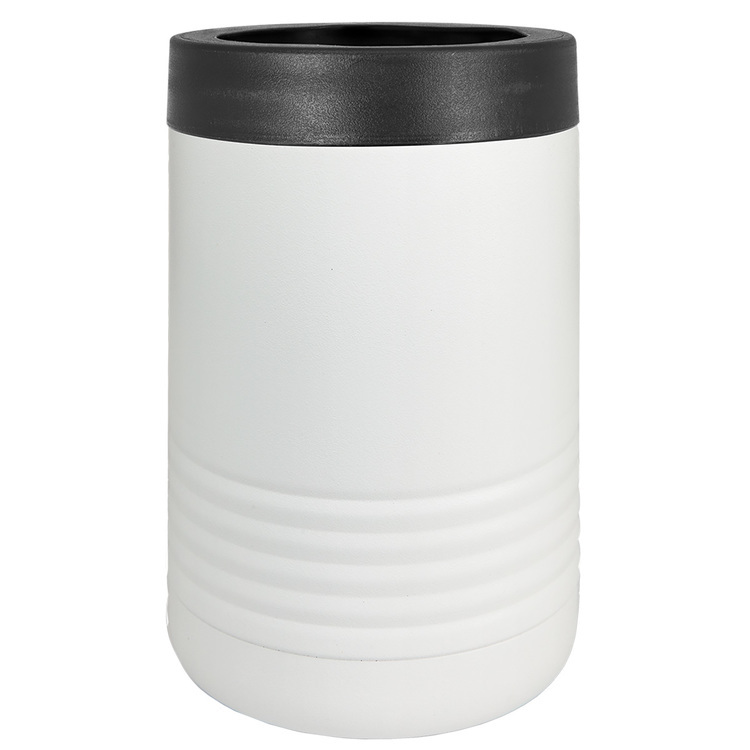 White Stainless Steel Polar Camel Beverage Holders feature double-wall, vacuum insulation. They are heat and cold resistant and hold cans and bottles. Simply screw off the rubber top and place the beverage inside. Product can be laser engraved leaving a silver imprint. Holds a 12oz. can or bottle. Individually packaged. The 12oz. 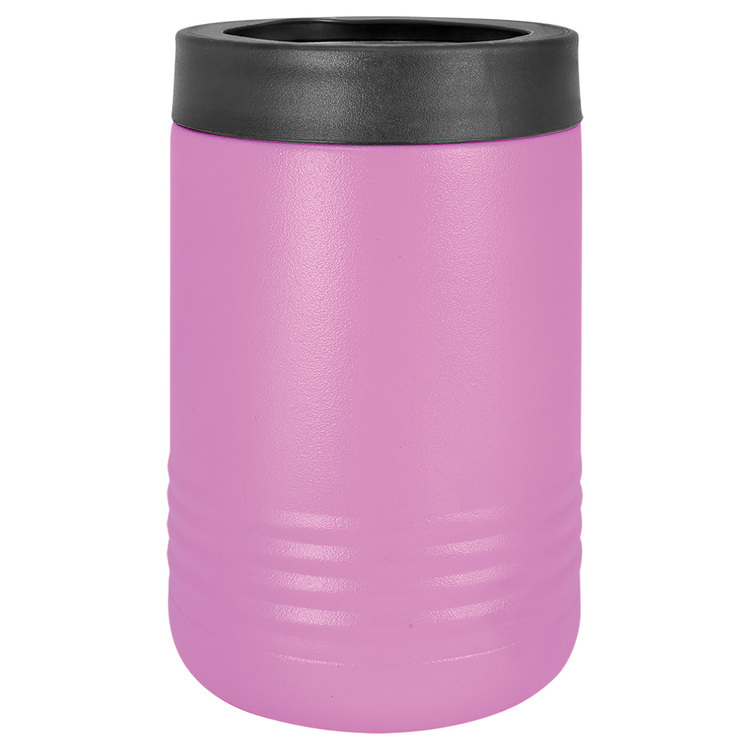 Pink Stainless Steel Polar Camel Beverage Holders feature double-wall, vacuum insulation. They are heat and cold resistant and hold cans and bottles. Simply screw off the rubber top and place the beverage inside. Product can be laser engraved leaving a silver imprint. Holds a 12oz. can or bottle. Individually packaged. The 12oz. 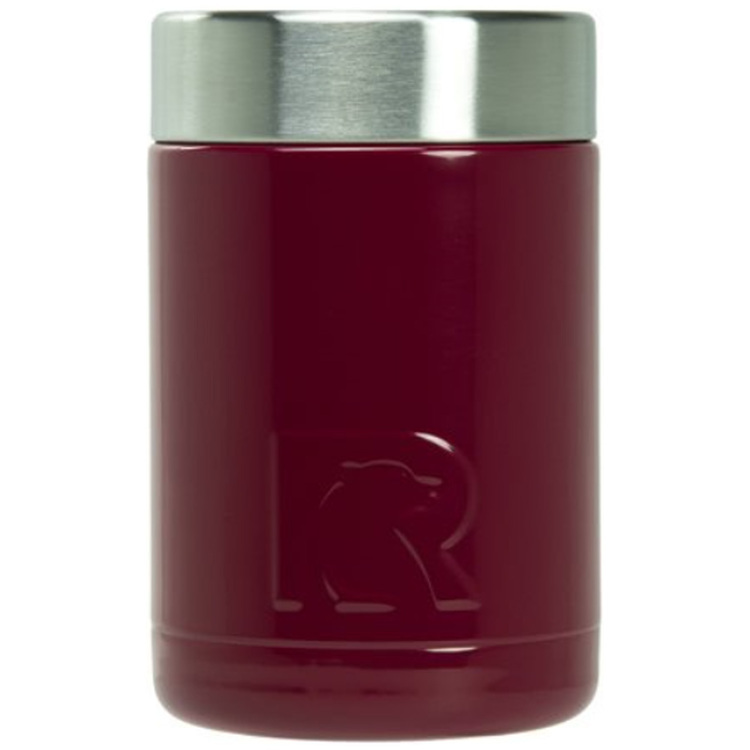 Maroon Stainless Steel Polar Camel Beverage Holders feature double-wall, vacuum insulation. They are heat and cold resistant and hold cans and bottles. Simply screw off the rubber top and place the beverage inside. 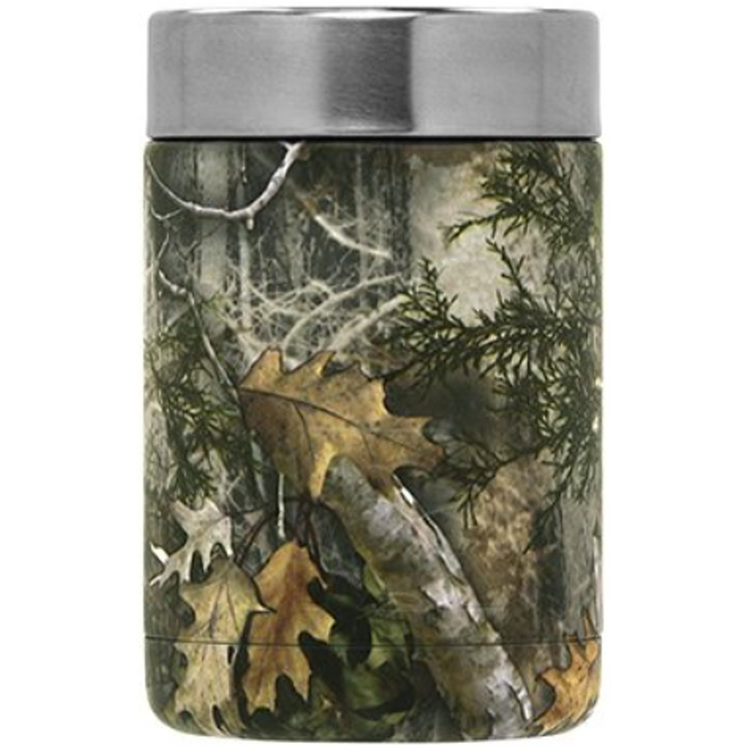 Product can be laser engraved leaving a silver imprint. Holds a 12oz. can or bottle. Individually packaged. The 12oz.  Light Blue Stainless Steel Polar Camel Beverage Holders feature double-wall, vacuum insulation. 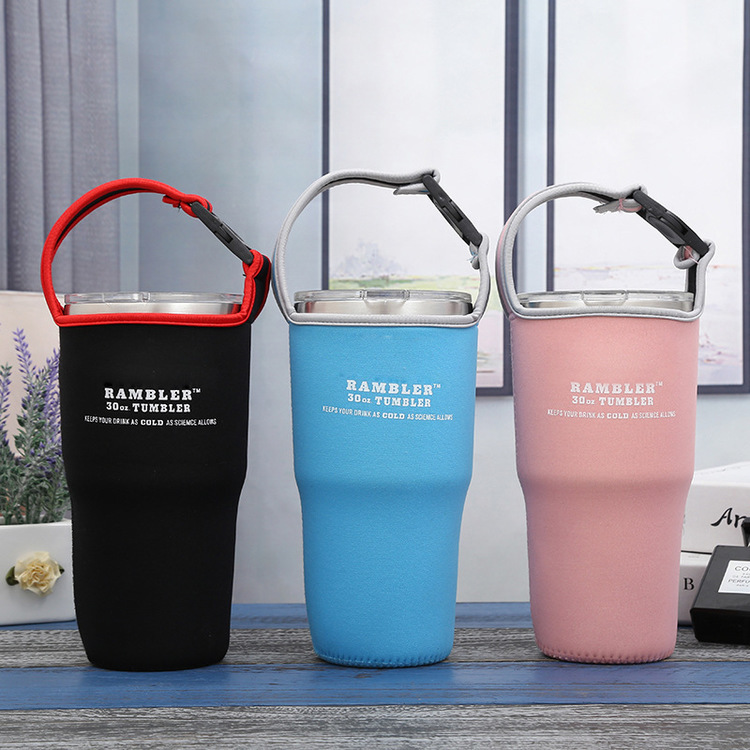 They are heat and cold resistant and hold cans and bottles. Simply screw off the rubber top and place the beverage inside. Product can be laser engraved leaving a silver imprint. Holds a 12oz. can or bottle. Individually packaged. The 12oz. 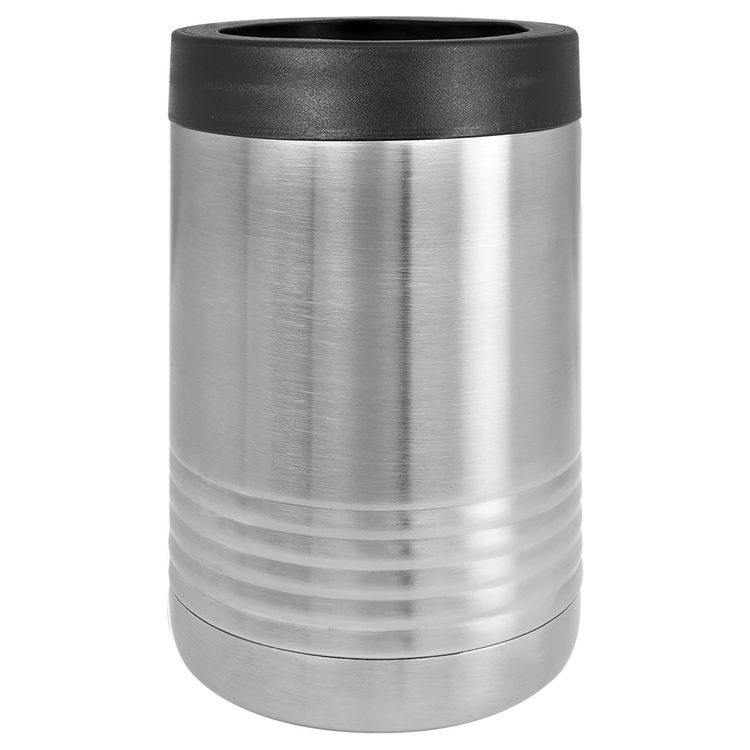 Gray Stainless Steel Polar Camel Beverage Holders feature double-wall, vacuum insulation. They are heat and cold resistant and hold cans and bottles. Simply screw off the rubber top and place the beverage inside. Product can be laser engraved leaving a silver imprint. Holds a 12oz. can or bottle. Individually packaged. The 12oz. 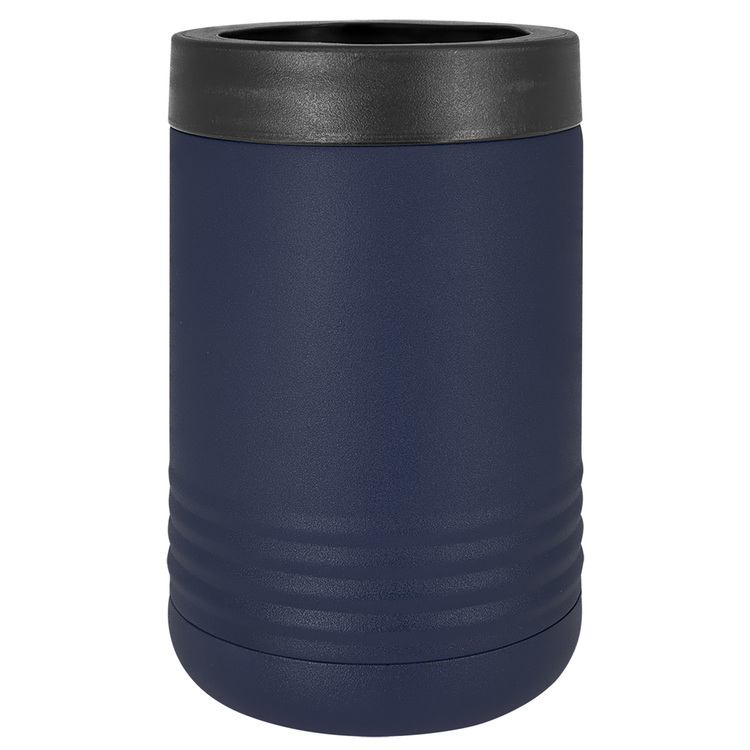 Navy Blue Stainless Steel Polar Camel Beverage Holders feature double-wall, vacuum insulation. 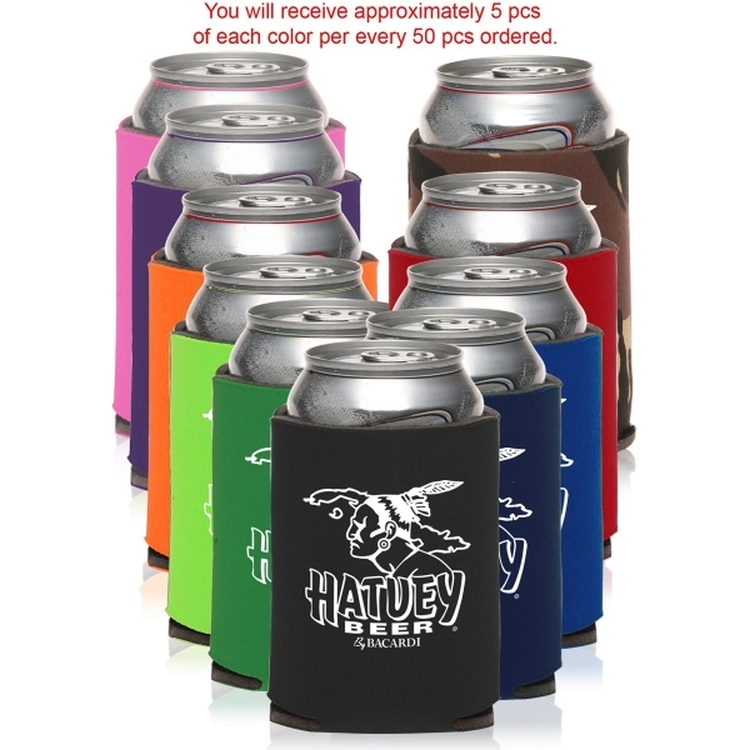 They are heat and cold resistant and hold cans and bottles. Simply screw off the rubber top and place the beverage inside. Product can be laser engraved leaving a silver imprint. Holds a 12oz. can or bottle. Individually packaged. The 12oz. 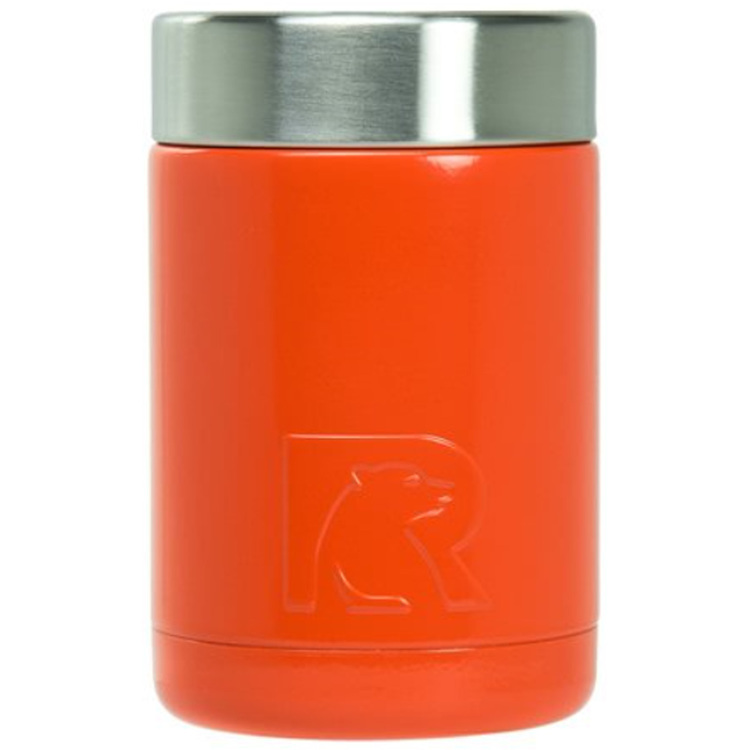 Orange Stainless Steel Polar Camel Beverage Holders feature double-wall, vacuum insulation. They are heat and cold resistant and hold cans and bottles. Simply screw off the rubber top and place the beverage inside. Product can be laser engraved leaving a silver imprint. Holds a 12oz. can or bottle. Individually packaged. The 12oz. Teal Stainless Steel Polar Camel Beverage Holders feature double-wall, vacuum insulation. They are heat and cold resistant and hold cans and bottles. Simply screw off the rubber top and place the beverage inside. Product can be laser engraved leaving a silver imprint. Holds a 12oz. can or bottle. Individually packaged. 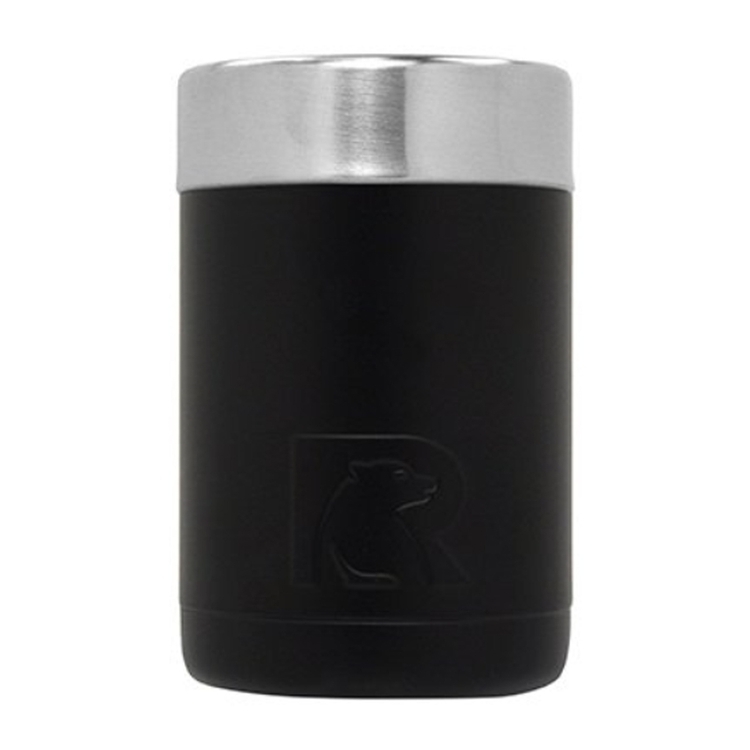 The RTIC Can cooler is designed to keep your 12oz can or bottle ice cold. The stainless steel, double wall vacuum insulation and locking gasket seals in the cold. Easy to clean. Laser Engraved. High Quality. 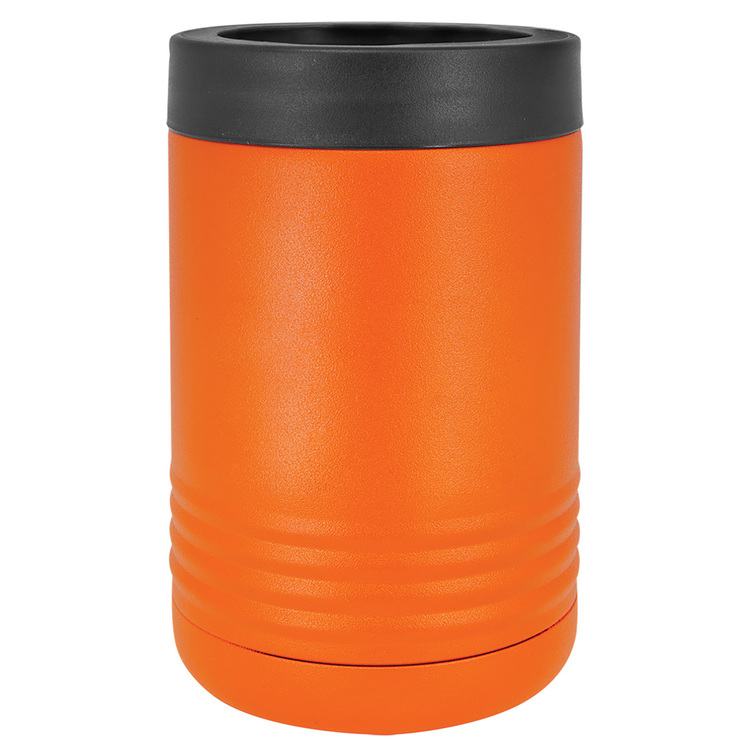 The Neoprene Can Cooler is a neoprene sleeve that opens to a cylinder to fit most cans and bottles. 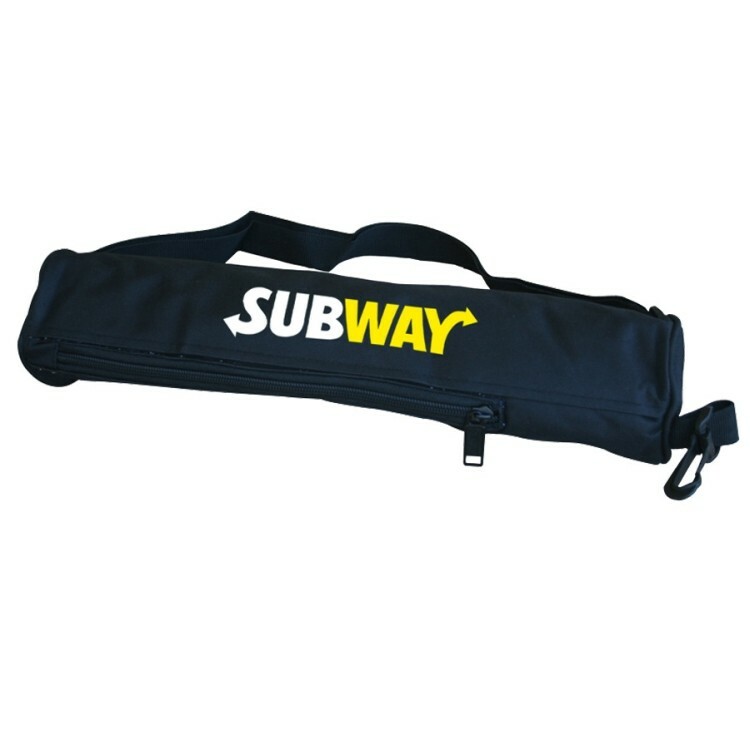 The Cooler is available in your choice of several colors and will prominently display your business logo. 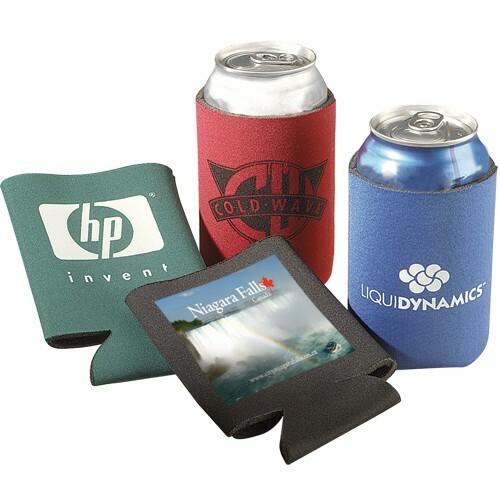 The Neoprene Can Cooler is a great gift for any business concerned with bottled water, sports drinks, soft drinks, or any other beverage available in bottles or cans, outdoor promotional events, especially ones co-sponsored by beverage companies co-workers, clients. The RTIC Black Can cooler is designed to keep your 12oz can or bottle ice cold. The stainless steel, double wall vacuum insulation and locking gasket seals in the cold. Easy to clean. Laser Engraved. High Quality. Instead of getting people all hot and bothered, the Folding Can Cooler Sleeve maintains a can temperature of 40 degrees or below for 35 minutes, or three times longer than a naked can. This can insulator is an absolute dream! Tons of available product colors to pick and choose from. Extremely affordable to order and give out. Free artwork or typesetting assistance available on every purchase A fun and memorable giveaway at trade shows, conventions or community events. We tested the cooler. Pocket can coolie is a collapsible can holder. 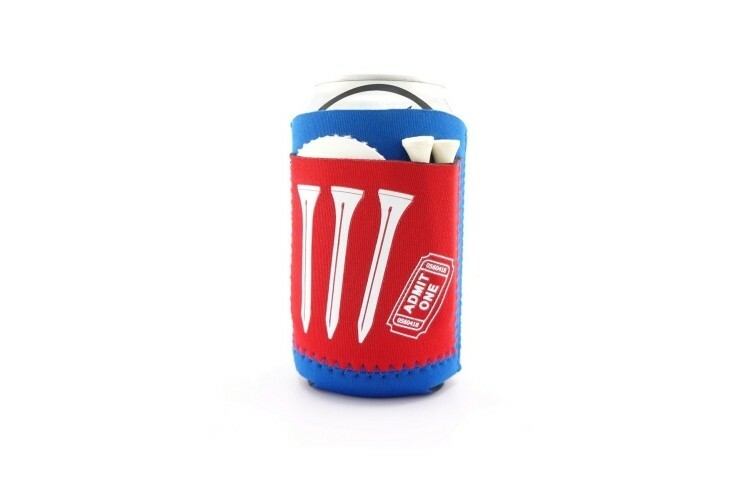 Perfect for outdoor events and sports themed promotions, our can coolers meet all industry standards for stitching and printing using eco-friendly technologies. 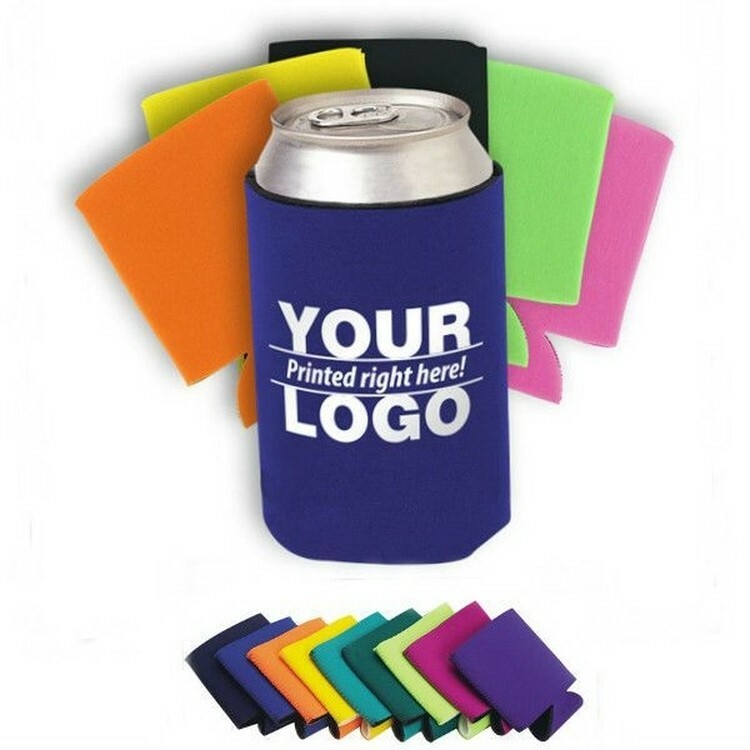 With your imprinted company logo or personal message, this affordable can cooler is the perfect way to promote your company brand.